During my time here at Beaufort, I will be going by the nom-de-plume Jane Beausten because I recently re-read Pride and Prejudice for one of my literature classes and remembered how much I love her witty satire. I am in my final year of undergrad studying English with a minor in Art History at Fordham University, a cat mom, devout turtleneck wearer, and coffee addict (I drank two cups before writing this post). Amidst trying to keep up with my seemingly never-ending reading for classes, working part-time at Fordham’s library, interning at Beaufort Books, and getting involved with extracurricular activities, it feels like I have little time to spend catching up on my to-be-read (TBR) list. However, I manage to sneak in a bit of reading each night before bed, and this has enabled me to start making some progress on my list. Every book lover has a TBR list for different periods of time in their life. For me, these periods of time align with the seasons. As autumn seeps its way into the city, I’ve begun to think about the books I want to read this season. I heard about this collection of short stories through the Goodreads grapevine. So far, I have only read a few stories. 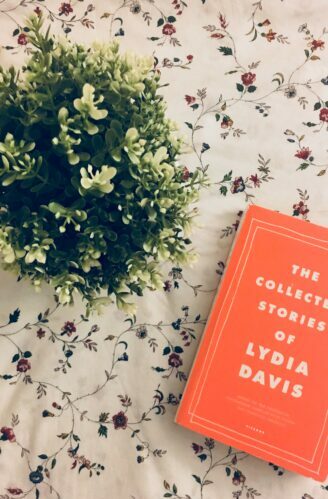 From what I can tell, Davis is a masterful storyteller and I find myself drawn in with her vignettes that capture seemingly mundane events. I’m excited to continue this read and possibly update you all about it in a future blog post! I fell in love with the magical realism style through reading the works of Gabriel Garcia Marquez and Isabel Allende. One of the biggest news stories in the publishing world this year was Roy releasing her newest novel, The Ministry of Utmost Happiness, and I decided to get to know her writing by reading her earlier work. I became a fan of this particular style of contemporary poetry by reading milk and honey by Rupi Kaur and salt by Nayyirah Waheed, so when I found out about Ysra Daley-Ward, I was immediately intrigued by her work. I’ve read some of her poems on her Instagram and Twitter accounts, and I find her poetry to be thoughtful, engaging, and comforting. I recently got a copy of her book from The Strand, which has made me look forward to reading the rest of her poems. Everyone knows Atwood’s novel The Handmaid’s Tale, but a friend recommended that I try reading Alias Grace because I am interested in historical fiction, particularly books set in the eighteenth and nineteenth centuries. I am trying to incorporate different genres into my reading repertoire, and though I usually am not one to read mysteries or thrillers, I couldn’t help but find this plotline intriguing. I hope my fellow book lovers find the time to check books off their TBR lists. I know I certainly will. This is a shared blog post for Beaufort Books and Spencer Hill Press.